Paging all corporate jet-setters: We hate to break it to you, but sweats and flip-flops aren’t going to cut it in business class. Achieve a comfortable—dare we say pleasant?—flight, even if they stick you in the overhead compartment, without losing green style points. From Garbo-esque ballet flats for hoofing it between gates to a Navajo-inspired take on the tired travel briefcase, here are 11 eco-friendly essentials for the style-conscious business traveler that will take you from “all aboard” to boardroom in no time flat. Whether worn as a cardi or a button-down shirt, Julie Park’s sumptuous batwing topper, made from 100 percent cashmere, is a multitasking space- and sanity-saver. Bonus: It’s softer—and far more sanitary—than a polyester inflight blanket. Bump your office uniform up a class with an ankle pant that’s work appropriate without being fusty. 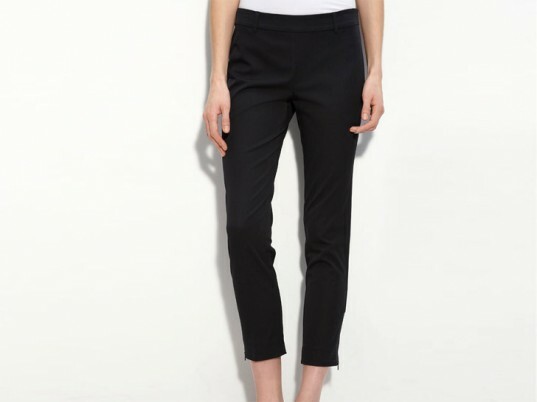 Eileen Fisher’s skinny organic-cotton trouser (blended with spandex for stretch) includes a pair of invisible side zippers, so you can give swollen ankles some respite during a long flight. Look effortlessly put-together—even stumbling off the red-eye—with Stewart + Brown’s boiled-wool Duncan coat. Warm and all-encompassing, especially if you’re on the receiving end of an overzealous air-conditioner, the buttoned-up wrapper features a waist tie to cinch its voluminous silhouette into shape. Five-inch heels are less than glamorous when you’re sprinting across the airport to make your connecting flight. Channel your inner gamine instead with Swedish Hasbeens’ Hepburn, a classic ballet flat handmade from sustainably tanned leather. If the thought of going barefoot through security is enough to give you hives, sheath your soles in a pair of organic cotton liners by Ecoland. Designed to be worn with pumps or flats without peeking through, the skintight prophylactics feature covered elastic and silicone grippers on the ankles to prevent slippage as you mosey through. Stash your gear in one of Fleabags’ limited-edition carryalls, made from deadstock Indian blankets by Pendeton. The perfect size for a carry-on, the Indian Blanket Gunpowder is a lively travel companion even on the dreariest of days (or layovers). Nau’s handsome folio, made from 100 percent polyester, keeps your passport, boarding pass, and traveler’s checks organized and zipped up, so you don’t lose anything in the mad scramble to your seat. Made with anti-reflective, polarized lenses and a frame derived from recycled metal and plastic, Earth Conscious Optics’ subtle cat-eye shades will protect your peepers in enviable fashion, while doubling as the ultimate inflight do-not-disturb sign. The dry, recirculated cabin air can leave your skin parched and flaky. 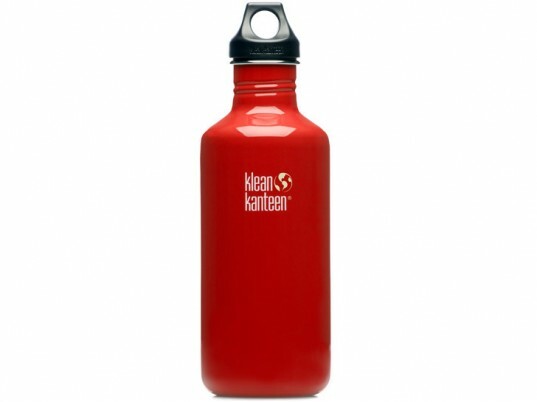 Hydrate yourself from the inside by sipping water from Klean Kanteen’s mega-sized 40-ouncer, made from bisphenol A–free, food-grade stainless steel. Rough, dry spots and scaly elbows don’t stand a chance against Suki’s uber-moisturizing yet non-greasy balm. Packed with organic, fair-trade cocoa butter; organic arnica; and organic calendula, the inflammation-fighting formula mollifies chapped skin while providing lasting hydration. The best part? Unlike its fluid counterparts, this miracle-in-a-jar will breeze through security without a hitch. I'm saving my pennies, as we speak, for the Fleabag weekender! The Pendleton fleabag makes me want to curl up with it like its blanket origins - LOVE. I've been a fan of no-show liners for a long time and didn't know they made a sustainable version. Good info. Great post, Jasmin - I want the fleabag bag! Oh awesome article Jasmin! I am obsessed with that bag. Brilliant! You hit all the right notes -- hydration, comfort, and sophistication. Key elements in any jet setting professionals airport routine. The yellow flats are sunshiney awesomeness! Not a day goes by where I am not attached at the hip to my Klean Kanteen! I would not be able to live without this thirst quencher, at home or on the go! 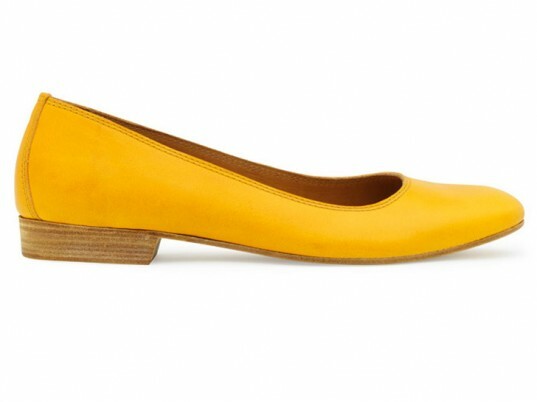 Am so covetting those Swedish Hasbeen Ballerina flats - something else to add to my burgeoning wish list! Surely if you actually cared about our environment, you wouldn't get on the pollution drenched plane in the first place? This is shameless greenwashing and effortlessly illustrates why we can't shop our way out of this crisis. Hi Strangepixel - are you saying you've never been on a plane? Yes, planes have very high carbon emissions. Sometimes though if you need to travel there is simply no other way to get to a location. And believe me, as a huge advocate of rail and boat travel, I have tried almost everything. It is simply not practical (and not usually even an option) to take a ship overseas. So unless you are luxury cruiser with a ton of time on your hands, most people need to fly in planes when engaging in business travel. People are not going to stop flying, so we need to figure out how to make flying better. And this is an article about eco apparel and products rather than about green travel. I know my wife pretty well, and these flea bags are something that she will want to know about. I will be sure to tell her. I will forward this to her. Thx! Paging all corporate jet-setters and green globetrotters: We hate to break it to you, but sweats and flip-flops aren't going to cut it in business class. Achieve a comfortable—dare we say pleasant?—flight, even if they stick you in the overhead compartment, without losing points on style. From Garbo-esque ballet flats for hoofing it between gates to a Navajo-inspired take on the tired travel briefcase, here are 11 eco-friendly travel essentials that will take you from "all aboard" to boardroom with your colleagues none the wiser. JACKET Stewart + Brown Duncan Cloak Coat $114 SUNGLASSES Earth Conscious Optics Sunglasses $129 HAT-SCARF Lina Rennell Tie Hat/Scarf $50 WATER BOTTLE Klean Kanteen 40 oz. Stainless Steel Bottle $25.95 CARDIGAN Julie Park Cardigan $280 BAG Fleabags Indian Blanket Gunpowder Bag $440 PASSPORT HOLDER Nau Fluent Doc $65 PANTS Eileen Fisher Slim Zip Ankle Pant $148 SHOE LINERS Ecoland Organic Cotton No-Show Liners $18 SHOES Swedish Hasbeens Ballerina Hepburn $277 MOISTURIZER Suki Butter Cream Healing Salve $24.95 This series is brought to you by Nordstrom.com: Think Less Buttoned-Up—It's a New 9 to 5. Whether worn as a cardi or a button-down shirt, Julie Park's sumptuous batwing topper, made from 100 percent cashmere, is a multitasking space- and sanity-saver. Bonus: It's softer—and far more sanitary—than a polyester inflight blanket. Bump your office uniform up a class with an ankle pant that's work appropriate without being fusty. Eileen Fisher's skinny organic-cotton trouser (blended with spandex for stretch) includes a pair of invisible side zippers, so you can give swollen ankles some respite during a long flight. Look effortlessly put-together—even stumbling off the red-eye—with Stewart + Brown's boiled-wool Duncan coat. Warm and all-encompassing, especially if you're on the receiving end of an overzealous air-conditioner, the buttoned-up wrapper features a waist tie to cinch its voluminous silhouette into shape. Five-inch heels are less than glamorous when you're sprinting across the airport to make your connecting flight. Channel your inner gamine instead with Swedish Hasbeens' Hepburn, a classic ballet flat handmade from sustainably tanned leather. 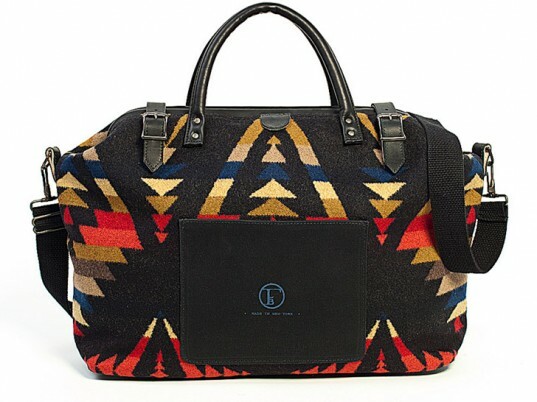 Stash your gear in one of Fleabags' limited-edition carryalls, made from deadstock Indian blankets by Pendeton. The perfect size for a carry-on, the Indian Blanket Gunpowder is a lively travel companion even on the dreariest of days (or layovers). 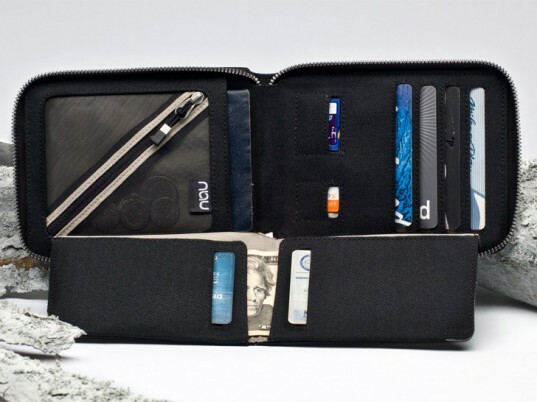 Nau's handsome folio, made from 100 percent polyester, keeps your passport, boarding pass, and traveler's checks organized and zipped up, so you don't lose anything in the mad scramble to your seat. 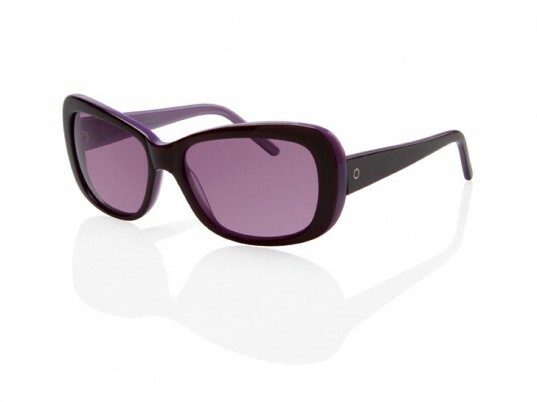 Made with anti-reflective, polarized lenses and a frame derived from recycled metal and plastic, Earth Conscious Optics' subtle cat-eye shades will protect your peepers in enviable fashion, while doubling as the ultimate inflight do-not-disturb sign. Rough, dry spots and scaly elbows don't stand a chance against Suki's uber-moisturizing yet non-greasy balm. Packed with organic, fair-trade cocoa butter; organic arnica; and organic calendula, the inflammation-fighting formula mollifies chapped skin while providing lasting hydration. The best part? Unlike its fluid counterparts, this miracle-in-a-jar will breeze through security without a hitch.